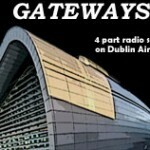 “Gateways” is a four part radio documentary on Dublin. The documentary hears from the people who live near, work at and are connected to the Airport. We talk to present and former employees of not only the major corporate entities at the Airport but also those who work in some of the ancillary businesses based at the Airport, along with those involved at a legislative and management level. The series concentrates on the people who contribute to everyday life in this unique North Dublin transport hub. From the Fire Chief to retired graphic designers, we learn what makes Dublin Airport special in the eyes of the travelling public. The series also looks at the positive influence the Airport has had on the community of North County Dublin. 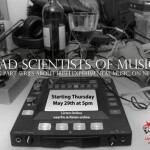 Topics as varied as the Swords Young Musician of the Year imitative and the role of the customs sniffer dogs are discussed and the listener is given a personal behind the scenes look at Dublin Airport. Gerry Cooley works as a broadcaster, tour guide and is a keen local historian. In this program Gerry talks us through the final moments of a flight as it lands at Dublin, describing the sights, which can be seen from the air. Tony Lambert, CEO of Dublin/Fingal chamber of commerce discusses the benefits, which the proximity of the airport has brought to the wider business community in the area. Aine O Connor is a journalist who has written on travel issues while based in the UK. Now returned and living in her native Swords she recounts growing up in and around the airport, and gives a unique perspective laced with fond memories. Fiona Hackett teaches at St. Finan’s community college Swords. The DAA has a special partnership with the secondary school pupils of this school where it mentors pupils on work experience. Fiona outlines this advantageous partnership. Ryan Air and its founder Dr. Tony Ryan is credited with changing the face of low-cost air travel in Europe. Ryan Air communications executive Michelle Lowe talks to us on the history and ethos behind this Dublin Airport based airline. Interview With Jill Barrett about the Laura Lynn Fundraiser -Tractor On Tour.